Notches Pattern Shop is a Retail Stockist for Bonnie Blue Designs. 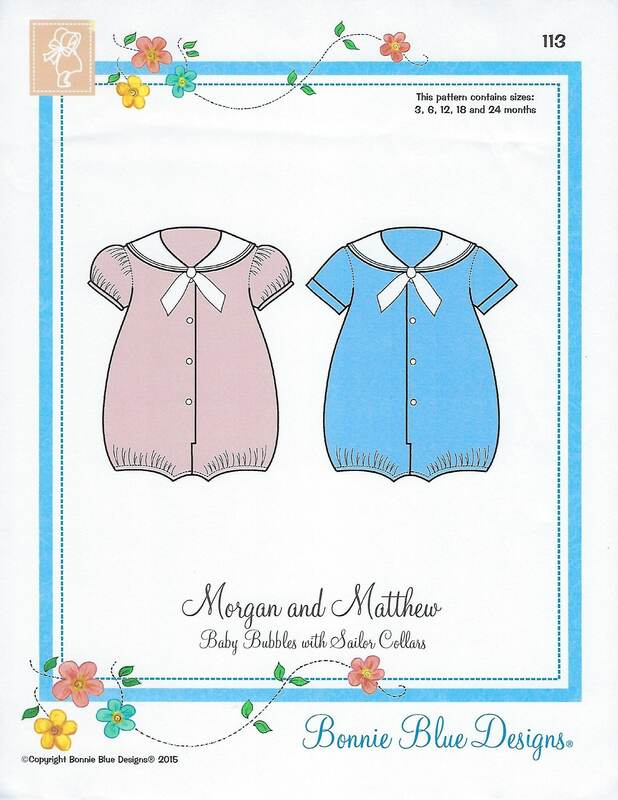 Package includes patterns and instructions to make Baby Bubbles with Sailor Collars. Classic sailor collar style bubble with girls puff sleeves and boys mock cuff sleeves. Ideal for brother and sister outfits! 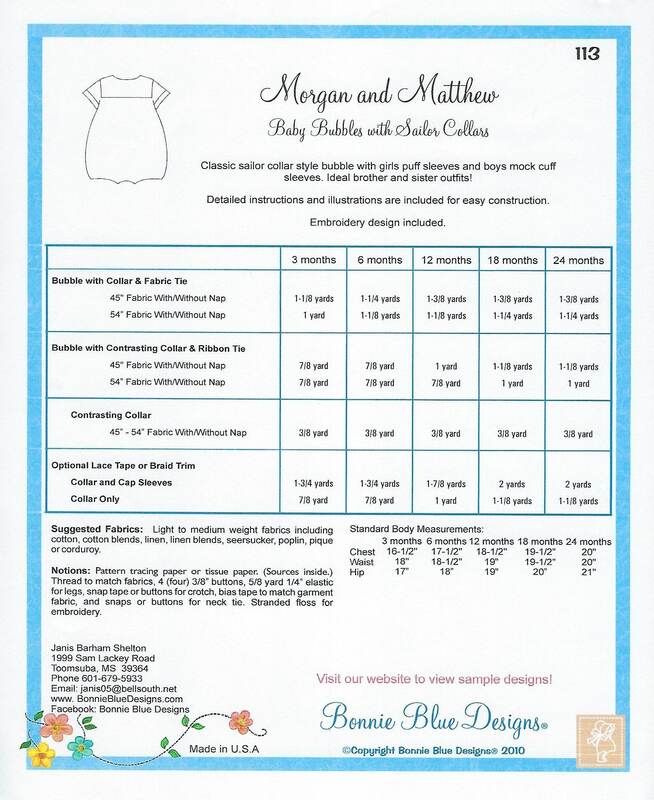 3 mo, 6 mo, 12 mo, 18 mo, 24 mo - All sizes included in one envelope.